Fancy a research visit to Durham UK? They told me I needed to take an umbrella, a rain jacket, and rubber boots. 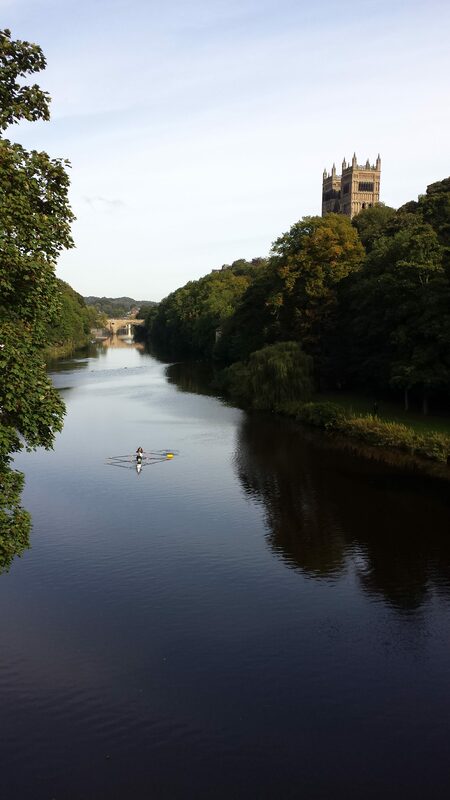 But, so far the weather has been wonderful here in Durham city, the home of Durham University. Much like my experience has been so far. Durham itself is a historic city in North East England enclosed on a peninsula by the river Wear. The city was founded over the final resting place of St Cuthbert whose cathedral became a centre of pilgrimage in medieval England. The Durham cathedral and adjacent 11th-century castle were designated a World Heritage Site by UNESCO in 1986. But enough fun facts. I have been here on a research visit to meet with no one other than Prof. Riccardo Scarpa, an authority in non-market valuation using discrete choice models. His first question to me: “What software packages do you work with?”. As a result, it is time for me to learn how to do some more coding. The more a man knows, the more he will find he has to know. PS: shops are open here till 10pm, the food is actually great, and Frances Keay B&B is wonderful to stay at if you fancy a research visit to DU’s Business School.